At 10pm on the 12th January 1971, a day which had seen nationwide political unrest in response to the governments Industrial Relations Bill, two small home-made bombs exploded at the home of Employment Security Robert Carr, the architect of the proposed legislation. Two days later a document, entitled ‘Communique 4’ arrived at Fleet Street from a group claiming to ‘The Angry Brigade’ claimed responsibility and claimed future threats: ‘Robert Carr got it tonight. We’re getting closer’. In the eyes of the media and the Westminster establishment this attack was an unprecedented shock – the European disease of political violence and terrorism had finally managed to ‘infect’ Britain, a country of conservatism, humility and anti-Radicalism. Yet under the surface, purposely kept out of public discourse by the government and the media, violence in Britain had been brewing, with it eventually being found that the Angry Brigade were responsible for around 25 bomb attacks in Britain. The Angry Brigade found inspiration from numerous places, one of which was French Situationalism. 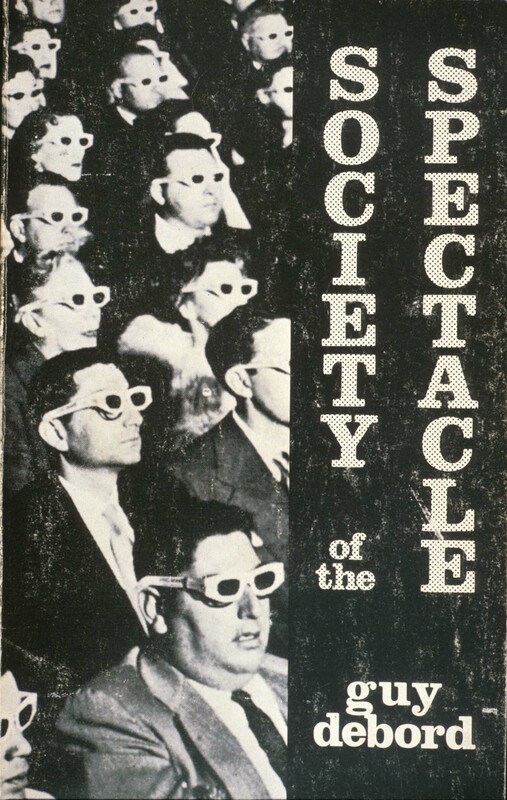 Situationalism, with it’s leading text being Guy Deboud’s Society of the Spectacle, attacked the passivity of people under modern consumer capitalism, who had become slaves to commodities and lost their fundamental human experience. The Angry Brigade noted this inspiration in ‘Communique 1’, with ‘Spectacles’ being one of the targets of destruction alongside ‘Property’, ‘High Pigs’ and ‘Judges’. Aside from the rhetoric of their communiques, the group acted on Situationalist desire to destroy ‘Spectacles’. The bombing of the Biba fashion boutique on May 1st 1971 was seen as an attack on a ‘modern slave-house’. Communique 8, opening with a quote – ‘If you’re not busy being born you’re busy buying’ – vocalised Situationalist critique of modern consumer culture, deeming it inhumane and worthless. Rather than being ’empty, bored, drinking tasteless coffee’, the group called for the people of Britain to ‘BLOW IT UP OR BURN IT DOWN’. The Angry Brigade were inspired by the events of Paris 1968 and the ideas of the Situationalist International. 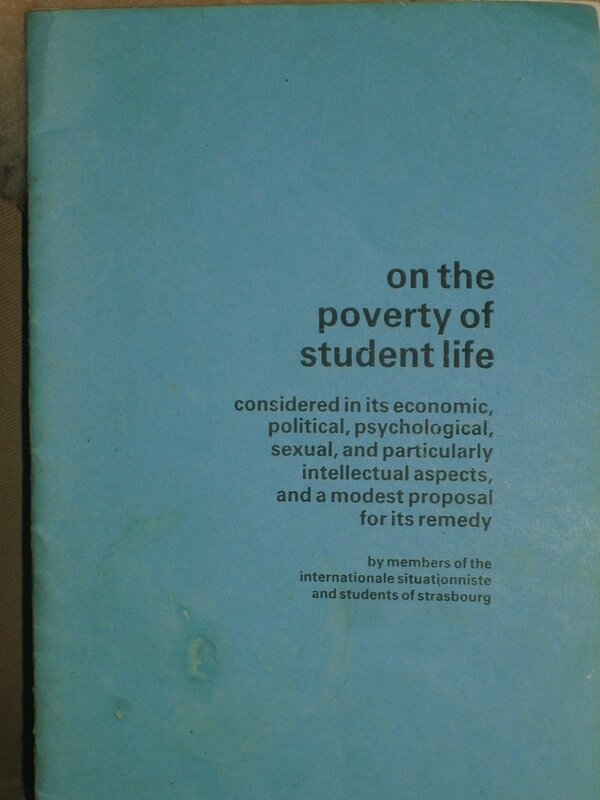 A now classic Situationalist text, the 1966 Strasbourg student produced ‘On the Poverty of Student Life’, foreboded the student-led rebellion in Paris, and which spread to other Western cities. The text questioned the subservience of students, ‘The student is a stoical slave: the more chains authority binds him with, the freer he thinks he is’. It attacked students self-perception of themselves as free thinkers, and instead said they were chained by the oppressive authority of the family and the state. Students had become ‘mechanical’ in their thought, ‘uneducated’ to serve the needs of modern capitalism. Like the students in Paris, Angry Brigade members became disillusioned with university life. Two of the groups members, Anna Mendleson and Hilary Creek, were from Essex University, dropping out after developing revolutionary socialist beliefs. John Barker, a Cambridge student, tore up his final year papers in 1969 in protest against the university. Right-wing commentators critiqued the middle class backgrounds of the members of the Angry Brigade. They were ‘ungrateful’, with the ‘mental age of a teenager’. Their slogan, to ‘bite the hand that feeds you’, was seen as the words of people who had used society for their education and ‘thrown it back in its face’. Yet the Angry Brigade was not wholly indebted to French Situationalism, and found inspiration in more traditional working class politics too. Member Stuart Christie, a Scottish anarchist who had been involved in an assassination attempt on General Franco in 1964, was inspired more by the traditional anarcho-communism of the 1936 Spanish Civil War. The claim that they were ‘the organised working class, with bombs’ was largely misrepresentative, yet it does show that the Angry Brigade were a fusion of traditional and New Left ideologies on the topics of class, feminism, ‘spectacle’ and violence.